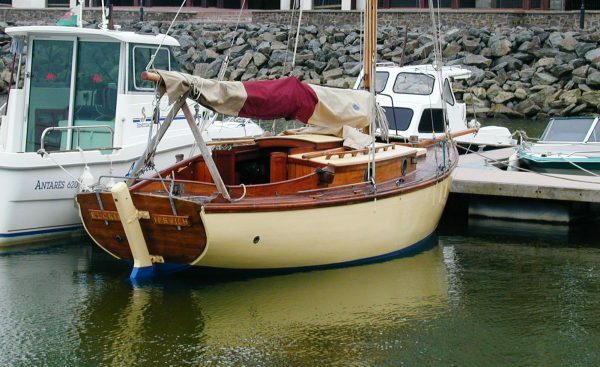 Elgris is one of only two Tabloid 16 sailing cruisers known to have been built to a design by Dr. T Harrison Butler that won first prize in a Yachting Monthly competition in 1928. 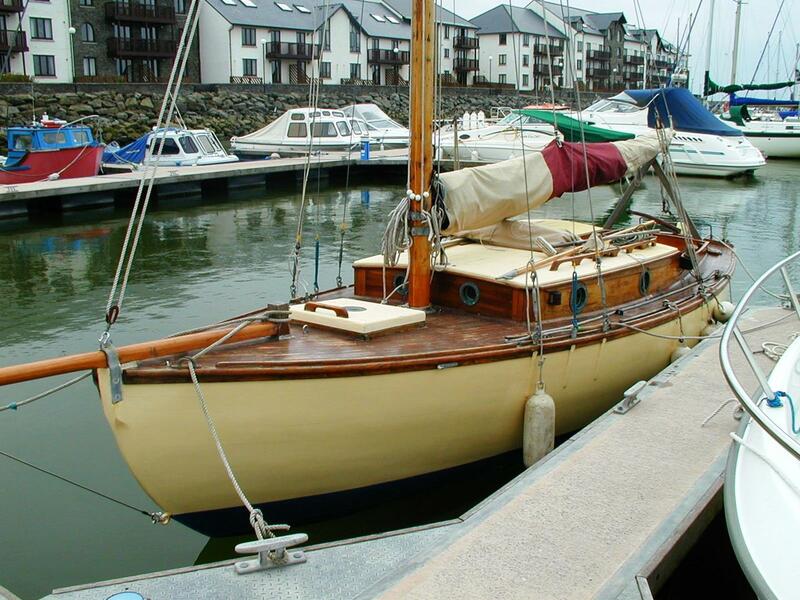 Elgris was built for G L Reynolds of Aldeburgh, Suffolk and remained on the East Coast for many years. 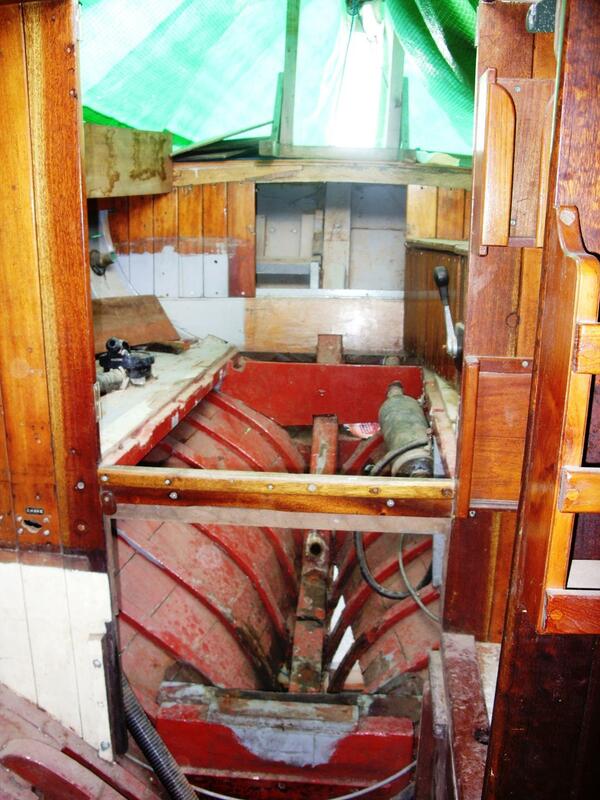 During the 1980’s Peter Mather of Woodbridge rescued the vessel in shabby condition and began a through re-fit. 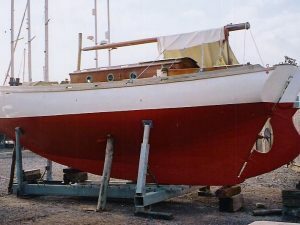 In the 1990’s a well known Marine Artist owned Elgris , sailing from a North Wales mooring. Under new ownership in Falmouth Elgris fell upon hardtimes and was taken to Gweek Quay, Helston for restoration. Work began and has continued until recently but due to lack of funding the project is part finished and a new owner is being sought for this worthwhile venture. 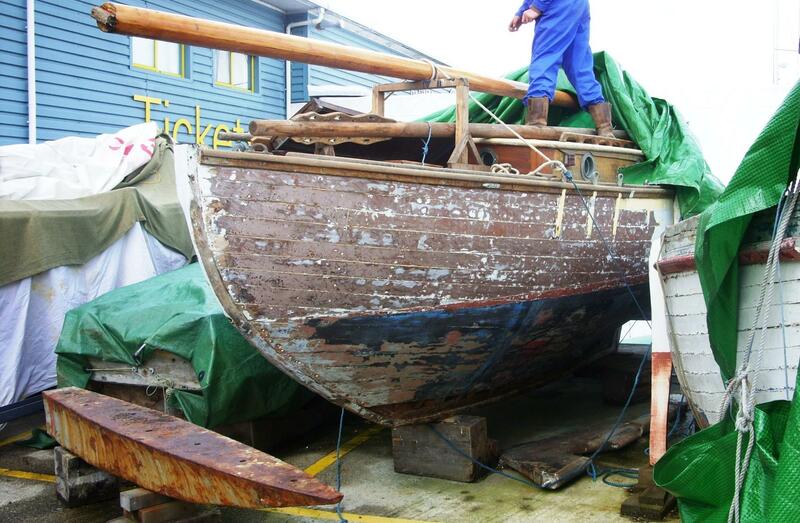 The images taken on 20th April show the vessel in its current condition with the iron ballast keel removed. 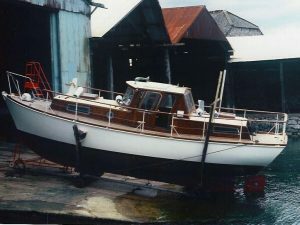 A refurbished Stuart Turner petrol engine is available if required. 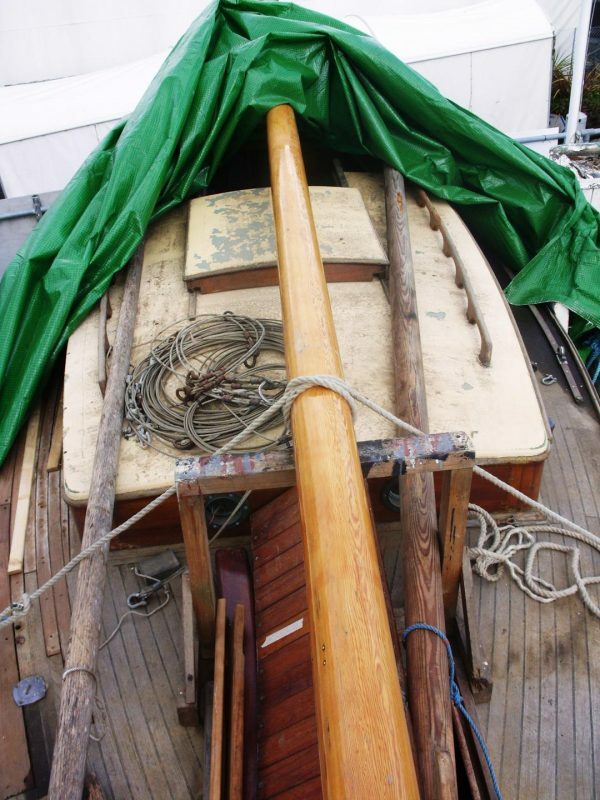 Mast, spars and some gear are also included. 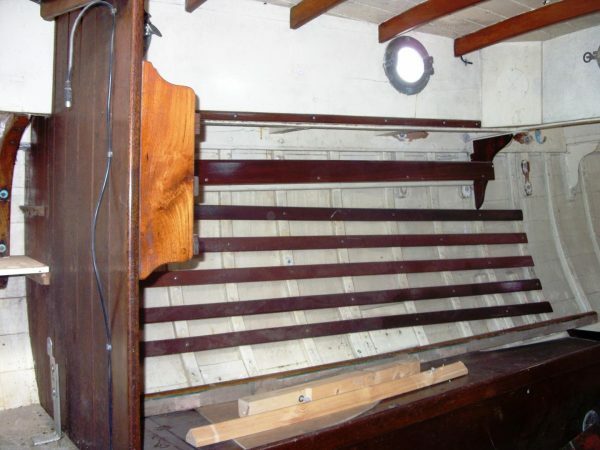 Elgris is of traditional carvel construction with pitch pine strakes, copper fastened to steam bent oak timbers. Oak deadwood, teak laid deck over marine ply. 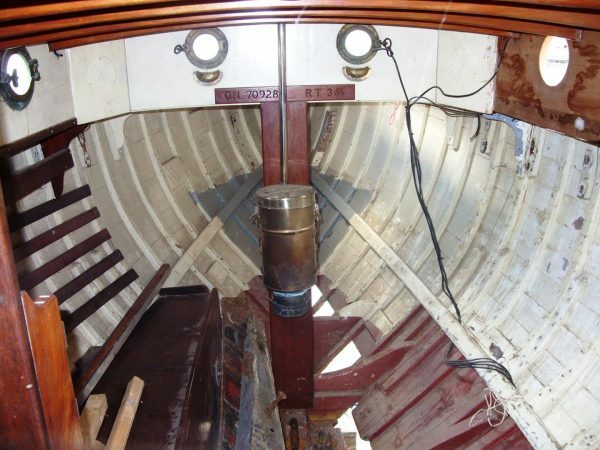 Transom hung rudder. 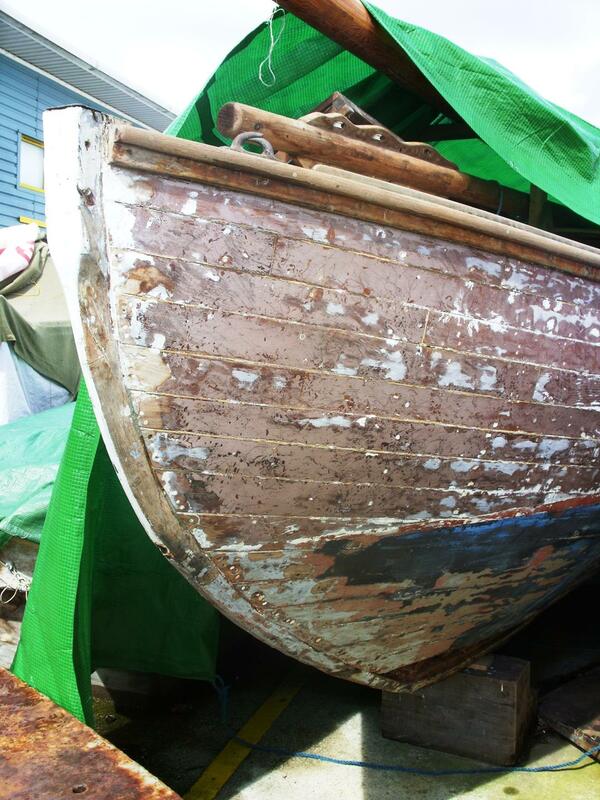 One ton iron ballast keel. 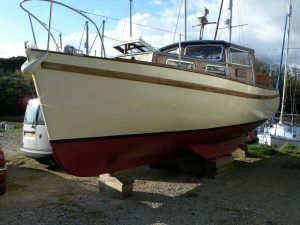 Classic Yacht Brokerage have known Elgris and her past owners for over twenty-five years and wish to make every effort to find a new custodian for this attractive and worthwhile HB yacht. A straight-forward project offered at a nominal sum, storage could be available in Cornwall if required.